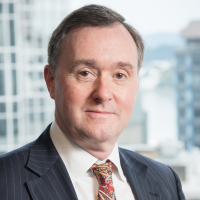 TeamTalk Limited (NZX: TTK) today announced that it has been selected as the preferred provider to manage Powerco’s private telecommunications network. a WAN (Packet Transport Network or PTN). The DMR and PTN are the primary means of communication with all field staff involved with the electricity network and communication activities. The network will eventually carry all of Powerco’s Network Operations voice, video, data and SCADA traffic. This deal follows an intensive eighteen-month bidding process against a number of other major IT and communications providers to win a five-year deal with potential for extension. The transition of services to TeamTalk has already commenced. Original generation time 1.6042 seconds. Cache Loaded in: 0.0955 seconds.